Since 1947, The Pasha Group is the name to trust for all your storage needs. Whether you need to store your vehicle or heavy cargo, single units or in high volumes, Pasha is the right choice for the most reliable and secure storage. We offer covered and uncovered staging options to suit your individual needs. 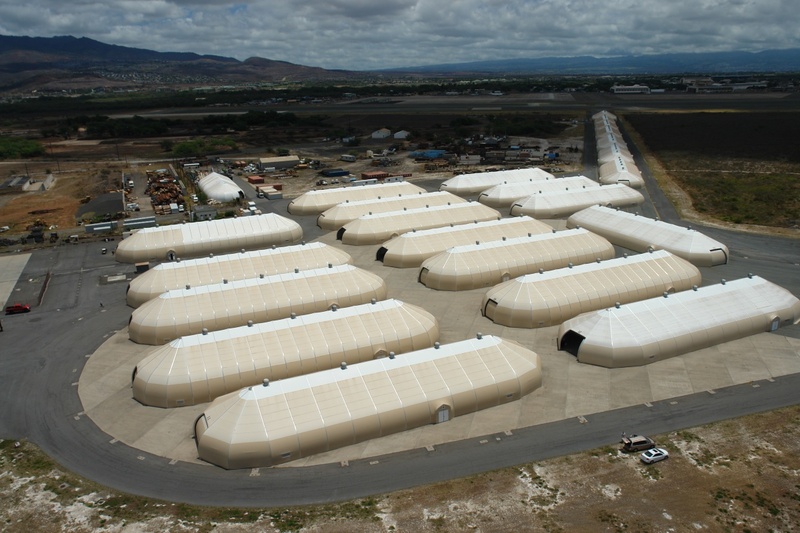 Our Sprung structures at Barbers Point in Honolulu are 15,000 sq. ft. each with two opposing 40-ft. Bay Doors, and a midpoint of 31' high, allowing easy access and flexibility to accommodate your needs. Simply call us at: (808) 520-2650 or email hawaiistorage@pashanet.com for additional information. Our qualified staff will gladly answer all your questions regarding the type of vehicle or equipment you wish to store and our various storage options. At Pasha, customer service is our number one priority. Contact us today to solve your storage needs.